Yoni Rosenzweig is a business litigation and trial attorney, focusing his practice on antitrust, unfair competition, intellectual property and general commercial disputes. Yoni has led every stage of litigation from investigation through summary judgment, trial and appeal. His clients are drawn from a variety of industry sectors, including private equity, technology, real estate, software and entertainment. Of particular note, Yoni defended a major software provider of billing solutions against a $900 million claim for unlawful monopolization, prevailing before trial. Yoni also prevailed at trial as the lead attorney in defense of a private equity firm accused of wrongfully enforcing its contract rights and interfering with a $250 million development project. In addition to his work in state and federal court, Yoni also has significant experience trying cases in arbitration. 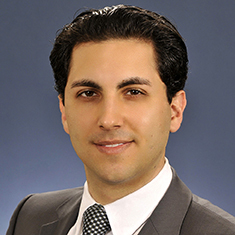 Prior to joining Katten's litigation team, Yoni practiced for four years at Quinn Emanuel Urquhart & Sullivan where he was an integral team member on one of the biggest computer memory antitrust cases in the country, from complaint to trial. He also second chaired at trial in the successful civil prosecution of large-scale intellectual property infringement and unlawful importation of printer ink cartridges. Shown below is a selection of Yonaton’s engagements. Representation of an individual accused of idea and trade secret theft by former employee; obtained full dismissal of all claims. Representation of charter aircraft company in antitrust dispute with competitor. Representation of a national bank against a $10 million claim for interference with prospective economic advantage; obtained defense judgment and award of attorneys' fees. Representation of a major software systems provider regarding alleged predatory pricing; obtained dismissal of nine-figure antitrust claim. Defense of a private equity firm against an $80 million damages claim for lost business opportunities; prevailed at trial as first chair. Appellate counsel in vacating an injunction against a $29 million foreclosure; subsequently obtained a complete defense judgment in the trial court on a summary judgment motion and an award of attorneys' fees and sanctions. Representation of international film distributors in obtaining an affirmative summary judgment of more than $6 million from a large Los Angeles production company due to its failure to achieve a screen release in the United States. Multi-district litigation representing several hedge funds in lawsuits arising from failed investments; obtained $30 million settlement before trial as well as dismissal of $75 million in damages claims. Lead nationwide litigation counsel for consumer legal services firm in business litigation stemming from the Federal Trade Commission’s shutdown of its practice.